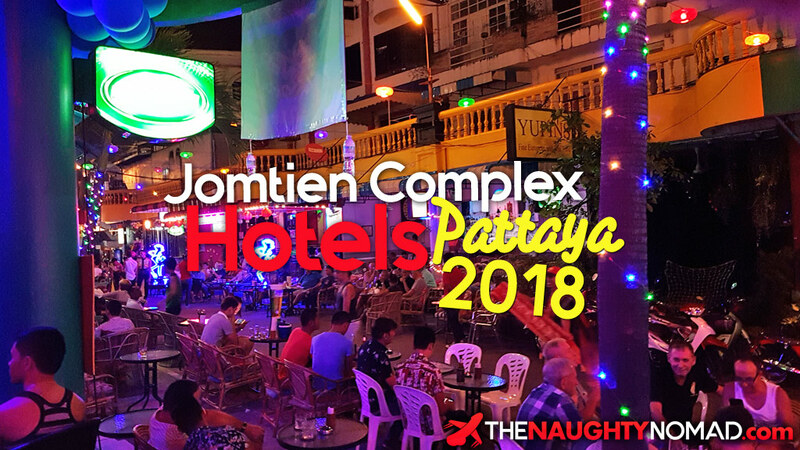 Jomtien Complex in recent years has become a hub of Pattaya’s gay nightlife and there are many Jomtien complex hotels and accommodation options. 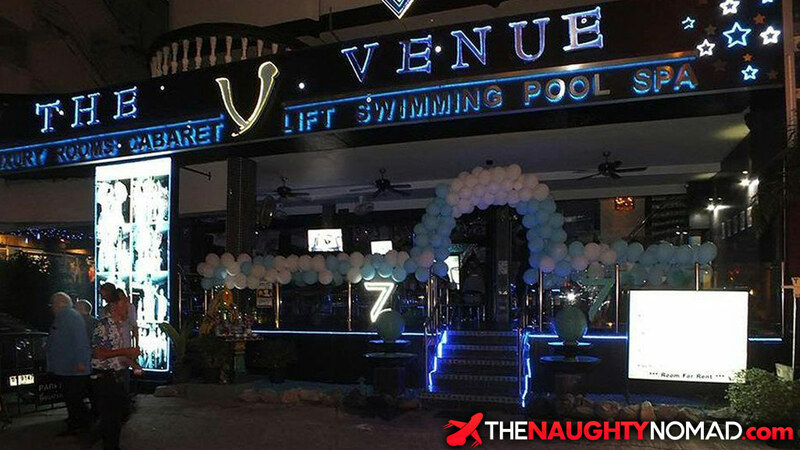 With over 24 gay bars in the complex itself and a host of other smaller bars dotted around, it’s a great place to consider staying during your trip to Pattaya. You will also find yourself surrounded by fantastic restaurants with both Thai and international cuisine. Another huge selling point for staying in Jomtien is you will only be a few minutes walk from the famous Dong Tan gay beach, which you can read more about here. While there are many accommodation options in the area, to many to review fully, let’s look at what we consider to be the best choices available. If you instead wish to stay in central Pattaya city, you can read about the gay hotels in BoyzTown here. While Jomtien is a large area, the gay area is quite small and everything is located within a few minutes walk. There are accommodation options for all budgets and preferences. We will rank the various Jomtien Complex hotels in order of value for money, at least in our opinion. We have stayed in all of these places, so our advice is first hand. 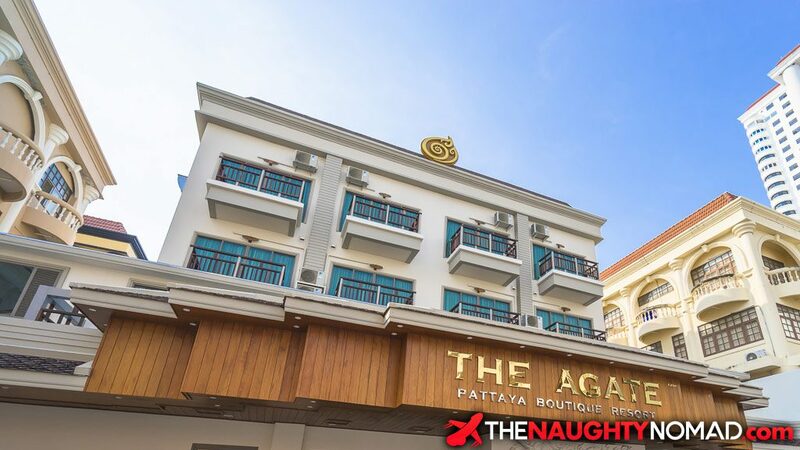 Located right in the center of Jomtien Complex, The Agate Pattaya Boutique Resort is a fantastic hotel. Although it isn’t a gay only establishment, it does cater to a large number of gay visitors who stay here because of its location. While it is the most expensive option in Jomtien Complex, the rooms here are fantastic, some of which have balconies over the pool area. There are actually 2 pools here, one being a salt water pool. If you wish to take a friend back here for the night, you will have no issues or extra charges. It is also noting that this hotel is very quiet, almost like an oasis in an area that can often be very noisy. For more information and for the best rates we recommend visiting Agoda by clicking here. 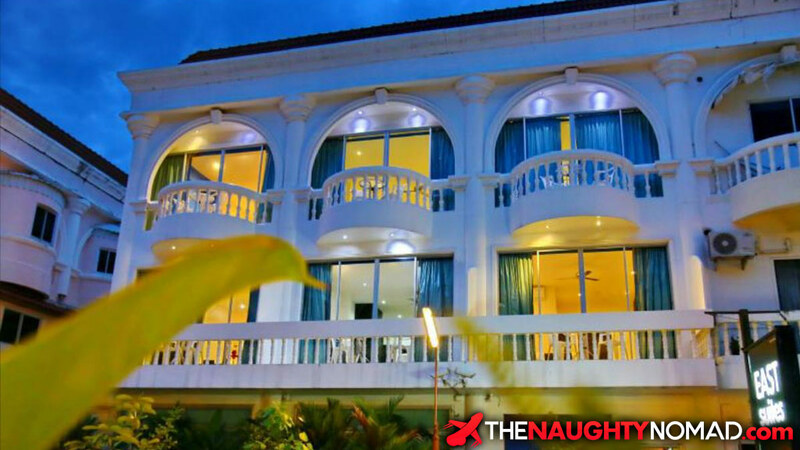 Located at the top of the main gay bar street of Jomtien Complex, Poseidon Hotel Pattaya is a gay owned hotel with fantastic rooms and a renowned restaurant with a talented international chef. It’s not a big hotel by any means. It does have a small swimming pool and a spa. They have a variety of room types, from standard rooms to bigger multi rooms suites. Because of its location noise from the bars is not usually an issue, but if you stay on the front be warned, you may get some noise. If you are a light sleeper, or enjoy an early night, requesting a room on the back of the hotel would be a wise choice. Being a gay hotel, expect no issues in taking a friend back to your room for the night. The staff here are great. Mostly gay guys who you will often see around the bars of Jomtien Complex after they finish work. More of a budget hotel option, but certainly not uncomfortable is The Venue Residence. This is actually a gay cabaret bar on the ground floor. Every night crowds of gay visitors come to enjoy the live entertainment here. Above the bar is the 14 room residence. Rooms on the front of the building can be noisy till the early hours because of the location to nearby gay bars. It’s also worth noting that before midnight noise from the show on the ground floor can be quite loud throughout the building. Rooms are clean and the staff here are very helpful. You will have no issues having a friend join you in your room for the night here. If you stay here you get discounts on drinks at the cabaret bars on the ground floor. 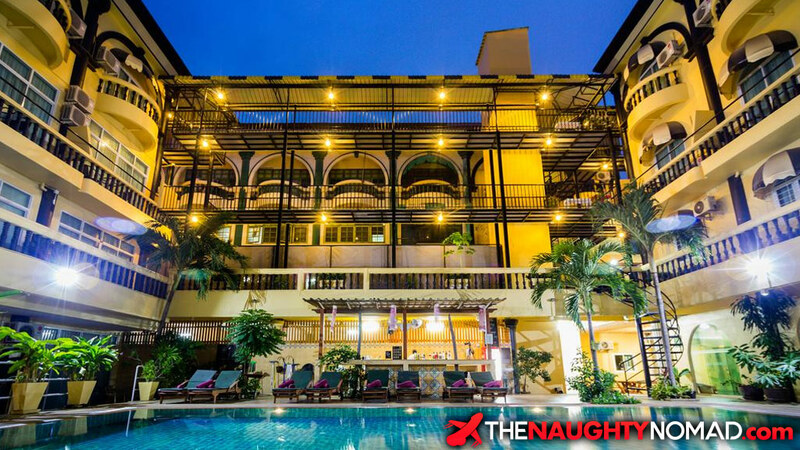 The most budget hotel option in the Jomtien Complex is the Zing Resort & Spa. Located a street behind the noisy bars, expect a quieter environment that some other places mentioned here. While you won’t have any trouble taking guests back to your room here, keep in mind this is not a gay only hotel. It’s not unusual to have families, mainly Russian, stay here. The can mean noise in the mornings from kids at the pool. Not ideal if you had a big night out in the bars the night before! The accommodation here is quite basic but covers most peoples needs. There are happy hours between 5 pm and 7 pm on the terrace for alcoholic drinks. If you don’t fancy a hotel and a serviced apartment is better for you, East Suites is a great option. Having 8 serviced apartments on 4 floors, expect some very nicely furnished apartments with all the things you need for a comfortable stay. Having your own kitchen can be great if you are planning a longer trip to Pattaya. While we won’t get into the ins and outs of booking Airbnb‘s in Thailand, if you haven’t tried it yet now is a great time to start. There are apartments all over Pattaya and Jomtien for holiday rentals. If you sign up by clicking here you can get a $25 travel credit towards your first stay.